You know what we don’t have enough of in VR? Combat games with good controls and tons of immersion and gore. Think Conan the barbarian fare or even a Dark Souls-style game. Imagine what that would be like in VR. Virtual reality combat is either awesome or awkward, but Blade and Sorcery’s violence might be the first combination of both but in a good way. Featuring intense action combat and awesome controls, Blade and Sorcery is so damn gritty that you will find yourself flinching from the immersion. If you though Gorn was bad, then what until you take a look at Blade & Sorcery from WarpFrog. 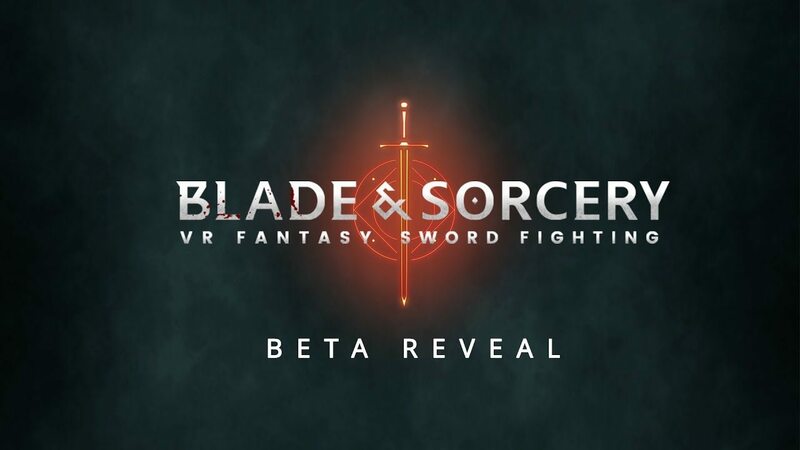 Hitting VR this December with a final version expected some six months later, Blade and Sorcery, as the name promises, is an intense medieval melee brawl fest that features immersion as only a virtual reality game can. Currently, in early access, the title lets you choose from the normal medieval fare like bows and arrows as well as swords but also allows for magic. Think of it as Skyrim in VR without the based on virtual reality features. Though that title was violent, it doesn’t hold much of a light to Blade & Sorcery’s promise. It looks absolutely brutal in its initial trailers. You can use magic to imbue your weapons with power or you can unleash on your foes Force lightning style. The addition of staff weapons, as well as dual wielding, also add some interesting flair to the game. The animations used to stab and maim your opponents are so lovingly crafted and simulated that it might make your stomach churn. Thankfully, the graphics, again akin to Skyrim, remind you that this is a video game but what an experience nonetheless. There will be a lot of avatar customization options as well as a range of different tasks to take on in the game. No word on multiplayer yet but we can’t see that not being a thing in the near future. As far as platform availability, WarpFrog hasn’t excluded anyone yet but we’re for sure going to see Blade and Sorcery on Oculus Rift, HTC Vive and Windows VR. If everything works out, we could also see it eventually make a landing on Sony’s PlayStation VR hardware. In terms of planned additions to the game, the devs have expressed an interest in building out a skill tree system for Blade and Sorcery as well as a bunch of different maps for the player to explore. WarpFrog has their work cut out for them that is certain but it isn’t like they don’t have some benchmarks to look towards. The aforementioned Gorn is not only a popular example of the kind of combat Blade and Sorcery hopes to offer but is well done at that. Using magic in this style of game can either be hit or miss, especially if it is overpowered and, thus, game breaking. Blade and Sorcery’s balancing between these two forces could prove whether the game is a success or also-ran.